Ella es la reina del baile. La reina de musica. La reina … de todo. Alicia Alonso, artistic director of Ballet Nacional de Cuba is such a superstar we gave her the Warhol treatment. Ask Cubans “who is Alicia Alonso?“ and you will hear this short, comprehensive explanation: she is the queen of dance. The queen of music. The queen … of everything. Alonso, born in Havana in 1920, possessed a gift for dance so profound, so prodigious that she and anyone who watched her early training knew she was a born legend. She became an instant star of American Ballet Theatre in the 1940s with searing portrayals of Giselle and Carmen that are still unequaled. She returned to Cuba in the ‘40s to establish professional classical ballet, and she did – creating one of the most rigorous, largest ballet schools in the world. There is dance; then there is The Dance. Alicia Alonso is The Dance. They are synonyms. The words might as well be Spanish-to-English translations. Like everything else, dance and audience expectations of dance morphed with the digital age, ushering in a new era of commercial dance guided by the “wow” factor of competition dance broadcast on television reality shows and through social media. Often, today’s young dancers and companies possess hyper-flexibility, video-game standards of leaps and tricks and operatic emoting that, while exciting, suits a needs-to-go-viral aesthetic that misses the mark with The Dance. 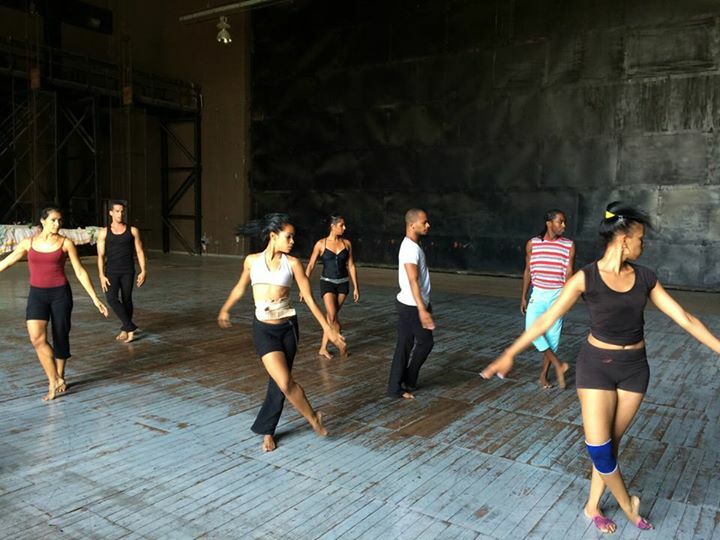 So it is with Ballet Nacional de Cuba. When they dance, it is a conversation of souls unlike any other ballet company. Alonso, la reina de todo, taught them that. Alonso’s signature ballet, Giselle, arrives at the Straz Center on May 23 as part of an exclusive, limited American tour. The last time the company appeared at The Straz was in October 2003, so it’s been a long absence. The stop here this month, orchestrated in part by arts benefactor, Straz Center namesake and Liberian ambassador-at-large David A. Straz, Jr., took three years of negotiations and diplomacy. Straz, known for his enthusiastic embrace of the historic Tampa-Cuba connections and love of the island’s culture, visited Cuba the first time in 2001, eventually working on behalf of the Tampa Bay area’s Alliance for Responsible Cuba Policy Foundation. As an informal cultural attaché for Tampa, Straz hosted a dinner party in Cuba between the Straz Center Board of Directors and President/CEO Judy Lisi and Cuba’s then-deputy minister of culture, Rosa Teresa Rodriguez, and the government representative for Alonso’s Ballet Nacional de Cuba. Because Cuba has such deep artistic roots in West Tampa, Ybor City and parts of Tampa proper, offering the country’s premier dance company a home on the Morsani stage seemed logical and necessary. Alonso, now in her mid-90s and almost completely blind after losing most of her eyesight early in her career, made an express trip to the ballet to sit with Straz during his visit to Cuba last October. In the state box at Gran Teatro de La Habana for an evening performance by Ballet Nacional de Cuba, Straz experienced the “Alicia effect” when she arrived, bedecked in her signature red head wrap with matching ruby red lipstick. Because of her health, Alonso had not been able to attend any other performances of the season. Catherine and David Straz (left) with Alicia Alonso and Ballet Nacional de Cuba staffers at The Gran Teatro de La Habana. Alonso and Straz spent time after the show conversing at length in her dressing room with the help of translators. “My Spanish is poquito,” he laughs. “That’s the extent of it. But she is so important. I invited her to Tampa. She said, ‘it’s possible.’ So, we’ll see.” Although a visit by the prima ballerina assoluta, the highest and rarest rank for a ballerina, is unlikely, we would love to host the grand dame of dance in the vivid red backdrop of Morsani Hall, befitting her majestic and magical legend. Ballet Nacional de Cuba performs their hallmark ballet Giselle on May 23 at 8pm in Morsani Hall. Get tickets here. Just beyond these square chunks of gray granite nestled amid the carpet of dead leaves in Oaklawn Cemetery lurks the city bus station. People get on and off the buses. The buses heave, sigh, trundle into traffic. Beyond the bus station, cars streak across I-275 shuttling between St. Pete and Orlando, yet only several yards away from Mr. Hubbard and El Indio, a gleaming alabaster mausoleum looms. It’s the final resting place of an important man; that’s plain to see. This smooth rock shrine houses the remains of Vincente Martinez Ybor, patron of Ybor City, cigar boss and wealthy entrepreneur whom local history remembers as a man who charted the course for one of the most promising money-making multi-cultural cigar cities of the United States. Between the pirates and the man who invented Ybor City rests yet another humble granite marker, about the size of a medium Amazon delivery box, of another Tampa entrepreneur who cultivated fruits from her large parcel of land next to the Hillsborough River, made pies and sold them to any one of the 6,000 people who called Tampa home back in her day. She shares the space on the granite’s face with her husband Benjamin; yet, if you dig, you won’t find their remains. Not under that marker, anyway. Their bodies are somewhere else in Oaklawn, cast into that nebulous, undocumented section of history called The Slave Section. Even though neither one was a slave. Not when they died, anyway. Which brings us to the start of our story. But you will have to stop and sit awhile, if you want to know what we just found out about Fortune Taylor and what she has to do with The Straz. In the mid-1800s, there was a white couple named Howell using slave labor in South Carolina. Two of those enslaved people were a man and a woman. They loved each other. Their names were Benjamin and Fortune. The Howells moved to Hernando County to set up an orange grove, bringing Benjamin and Fortune with them. The end of slavery arrived in 1865. So, by 1866, Benjamin and Fortune had left the Howells in their rearview mirror and staked out a new life for themselves in a desolate, cattle-rustling, drunk and disorderly town called Tampa. For the Taylors, it was freedom. They went to the courthouse and married as free people. To the Clerk of the Circuit Court for the County of Hillsborough and the State of Florida. Whereas Benjamin Taylor, a Freedman and Fortune Taylor a freed woman have applied as one to join them in Marriage, And whereas they have lived harmoniously together as man and wife for several years. I have this day joined the above named Benjamin Taylor and Fortune Taylor in the bonds of holy Matrimony, according to the Act of the Legislation of the State of Florida passed as it’s late Session. They knew the land. They knew work. They knew how to use both to grow things that made life and money. On January 20, 1869, Benjamin filed a claim to homestead 33 acres next to the Hillsborough River. Benjamin and Fortune took to their land to make life grow: peaches, guavas, oranges. The ownership of self. Of land. Of labor. The future looked like acres of sweet, delicious fruit. They survived the yellow fever epidemic of 1867 and the ensuing epidemic of Reconstruction Republicans who came shortly thereafter to enforce the post-Civil War policies of the federal government. But what is a Reconstructionist to a human being who survived enslavement to become a successful citrus farmer? Not much. Then, Benjamin died. Late in 1869, less than three years after their wedding day, Fortune Taylor found herself widowed, newly free and now head of almost three dozen acres of land as an African American woman almost as far South as you could go. But Fortune was fortune. She was an entrepreneur, too, beloved by her community, and anointed with a high title. Maybe she wasn’t a patron, or a tabaquero, or a mayor or city councilman—all of those titles were denied her because of her gender and skin color—but in her life, in her circumstances, in her neighborhood, they called her Madame. She earned that respect for building something meaningful and dignified in Tampa during a time when the town itself was struggling to be something more than a chaotic river outpost. So, the woman with the baked goods, the woman with the land, was known around Tampa as Madame Fortune Taylor, by white and black alike. Remembered as a “short, stout woman,”* Madame Fortune Taylor donated some of her property to start St. Paul’s, the second oldest church in Tampa today. Another section she sold to Mayor Edward Clarke so he could develop a subdivision in 1878. The road leading from downtown Tampa to her homestead? That became Fortune Street—the same one that exists in downtown Tampa today. Take Fortune Street to Doyle Carlton to the door of the Patel Conservatory and you’ll be on Madame Fortune Taylor’s old orange groves. We’d like to imagine she’d be happy with the legacy of her land becoming a place for arts education for kids, as she was known as someone who loved and was loved by children. Take Fortune Street all the way to the end in the other direction and guess where you’ll be? At the bus station that lurks right next to Oaklawn Cemetery. Somewhere, in there, she and Benjamin watch us now, pulling their names from the shadows of history into the light of our present day. They were not pirates; they were not slaves. They were builders and survivors, creators and lovers, free people with an important story to tell. Ersula K. Odom and Gloria Jean Royster, active members of the Friends of Madame Fortune Taylor society. So, we wish we could tell you that we came into this amazing story on our own through our own coolness and research into Straz land history, but we did not. We’re riding the coattails of people like historians Fred Hearns and Canter Brown, men who have dug, fought for and unearthed exquisite stories from African-American history, Tampa’s in particular, and who have been writing and speaking about Madame Fortune Taylor for years. We also relied heavily on Lucy Jones’s 2007 article on the history of the Fortune Street Bridge in Cigar City Magazine, and tampapix.com’s history of the bridge as well. We came to know Madame Fortune Taylor through two incredibly cool ladies, writers, researchers, and performing artists themselves, Gloria Jean Royster and Ersula K. Odom, who are active members of the Friends of Madame Fortune Taylor society. They contacted our executive administrative assistant extraordinaire, Patricia Griggs, to ask if The Straz would be interested in sponsoring the banner for the Fortune Taylor Bridge dedication ceremony on May 20, 2018—since we now sit on part of Madame Fortune’s estate. Executive Administrative Assistant Patricia Griggs’ office overlooks the Fortune Taylor Bridge and most of the Taylor homestead. Today, we know the Taylors’ land as the area roughly from I-275 at the river to the Patel Conservatory. We loved Gloria Jean and Ersula so much we brought them into our offices for an exclusive interview about the Fortune Taylor Bridge, their research into Madame Fortune Taylor and the kind of connection historical information awakens in people living today. The dedication of Fortune Taylor Bridge takes place Sunday, May 20 at 10 a.m. on the east bank of the Hillsborough River. You can keep tabs on this tale by following Fortune’s Friends on Facebook. We also wish we could tell you we know all of Madame Fortune Taylor’s story, but we do not know that, either. Some years have been lost, and some land transactions can’t be proven without records. However, thanks to many devoted researchers working with spotty, racially discriminatory records that excluded so many valuable members of society, a skein of Madame Fortune Taylor’s story exists today. 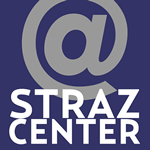 The Straz knows more about itself because of their efforts. We would also like to thank David Parsons and Todd Ciardiello, librarians at the John F. Germany Library next door, who helped us tremendously in tracking down photographs and information from the Florida history archives. We used photos from the Florida Memory Project and the Burgert Brothers Collection from the Germany Library’s digital archives. If you have any information on what happened to Madame Fortune Taylor from 1878-1885, please contact us. We are also looking for photos and for any transactional records about her selling her land after 1885. *this quote is from Canter Brown’s oral history interview of Dr. Robert W. Saunders, Jr.
Over the summer I traveled to Cuba for 16 days to study popular and folkloric dance. It was an extraordinary opportunity as an American artist, but especially as a dancer living in Tampa, given the status of dance in Cuba and the deep roots that bind Tampa and the island. Not many people know that the orders to incite the War for Cuban Independence (a.k.a. the Spanish-American War) were rolled into a cigar on Feb. 21, 1895, at a West Tampa cigar factory only 1.8 miles from where the Straz Center is today. That cigar traveled to Havana, and the rest, as they say, is history. For anyone new to dance or just beginning your appreciation of the language, let me first explain that Cuban dance is el espiritu, a sense of national identity, a force all on its own: dance is life, it means everything — whether that dance is classical ballet or guanguanco (a form of rumba). In other words, a Cuban modern dancer is not interchangeable with an American modern dancer or a European modern dancer. There are technical differences like spinal articulation and a slight forward tilt in the neutral position, but the real difference is in the Cuban dancer’s sense of the music and projection of that power of the spirit outside of herself. As a Tampan, one of my favorite things to do is head over to Ybor City, where the cigar industry started with Vincente Martinez Ybor, a Spanish-born Cuban, in the mid-1880’s. It’s a short bike ride from The Straz, maybe two miles. I enjoy walking through the old immigrant neighborhoods, now renewed and full of bars, tattoo parlors and boutiques, and imagine what life was like on the corner where Jose Marti gave his famous speeches to the thousands of Cubans and Afro-Cubans in Ybor City who helped support that revolution. There are still a few shops left where Cubans and Afro-Cubans hand roll cigars. I feel the history as very much alive, and I felt it, too, from the other side of the Florida Straits when I toured the streets of Old Havana. Our part of Florida and Cuba belong together — the real Cuban sandwich exists because of Cubans in Ybor City, for goodness sakes — and I gained unexpected, deeper appreciations of our historical connections and of being a dancer because of the time that I spent in Santiago and Havana. Cuba, culturally, occupies such a special place in artistic history. And so do Tampa and Ybor City. The beauty of a true cultural exchange lies in the appreciation of a culture’s artistic contributions to humanity and our contributions to each other right now. This giving-and-receiving occurs for both artists and audiences, and dance and rhythm are some of our oldest methods for communicating with each other. Within the realm of the performing arts, we share the intersecting paths of el espiritu and experience that ineffable quality called “the human spirit.” I was distressed in Havana knowing that most Americans would never be able to see Cuban life the way I had, or see Cuba at all. But, we are fortunate to have opportunities to experience great Cuban musicians in our area, and I recently had a delightful conversation with Ivonne Lemus, the ballet mistress for the Patel Conservatory, who is Cuban and is passing along her traditions in classical Cuban ballet to our dancers here. We are all fortunate to have her keeping the legacy alive for the next generation. Would I go back to Cuba? Yes. Today. Right now. When my longing gets painful enough, I’ll go to Ybor City and visit the marble bust of Jose Marti on the Avenida Republica de Cuba and hope for the sounds of bata drums. Ah, el espiritu. Marlowe Moore Fairbanks is a writer, dancer, choreographer and naturalist. She is currently working on a full-length dance/film collaboration, Gods of Florida, inspired by her study of sacred Afro-Brazilian and Afro-Cuban dances. She works part-time as the copywriter for the Straz Center. She chronicles her experiences in art and nature on her blog, marlowemoore.wordpress.com.